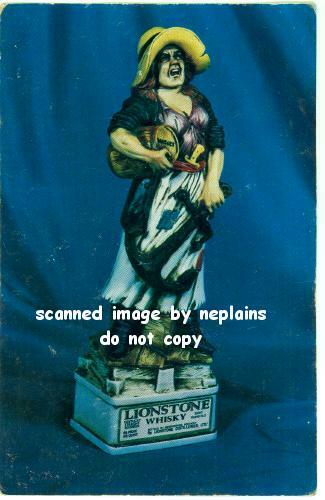 the Lionstone "Masterpiece Series of the Old West". (c) 1971 LDL. 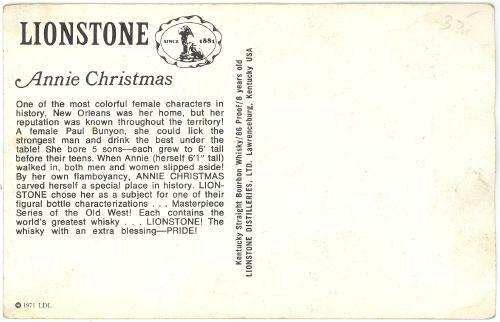 Lionstone Distilleries Ltd, Lawrenceburg, Kentucky. on card front. Faint moisture stain on back at corners.